Items are outside the loading dock of the building. We will have our maintenance contractor review / repair. Thank you for informing the City of these outdoor lighting outages. City did a night inspection on 4/4/19. There were no City lights out of service at this SW corner. 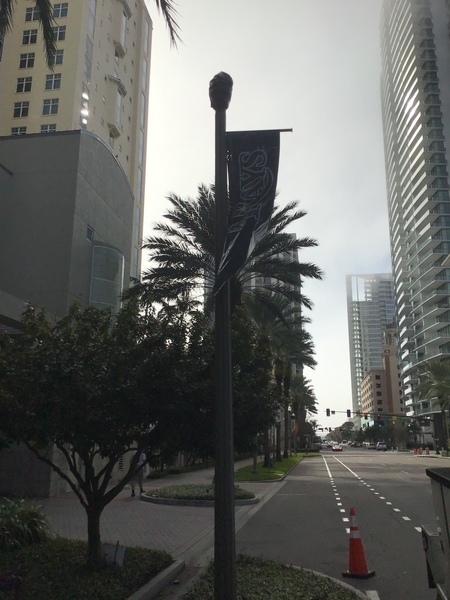 The USF small globe pedestrian pole lights are on motion sensor control (go on with motion). These are USF's maintenance responsibility. Hello, a hole in the middle of the road needs to be repaired. This issue was recategorized from City Park Maintenance to P&R Maintenance. Thank you for watching out for our parks.....this is a much bigger job than to fix those problem bricks. We will be looking into a fix for the whole area. Thanks for your patience.